Priced at Rs 2.41 lakh at pan-India showroom, the CB300R bike is its second Neo Sports Café offering in India. Pune: Japanese two-wheeler giant Honda Motorcycles is expanding its offering in the rapidly growing middle weight premium bike segment by introducing much awaited CB300R motorcycle. The Neo Sports Café family is Honda’s ultra-modern minimalistic take on the timeless roadster design. CB300R is inspired from its powerful sibling CB1000R Neo Sports Café which was originally showcased at the Tokyo Motor Show 2017. The middleweight augment between 300 and 600 cc engine has dominated market leader Royal Enfield and the market size is pegged around 2 lakh units annually. “The all new Neo Sports Café inspired CB300R is a breakthrough modern take on the classic roadster design,” Yadvinder Singh Guleria, senior vice president, sales and marketing at Honda Motorcycle and Scooter India, said. With strategic pricing of Rs 2.41 lakh, Honda has put the spotlight on the growing middleweight category and motor enthusiasts across India have responded, he claimed. “In just 25 days since start of bookings, CB300R is already booked for over 3 months based on our current production plan. 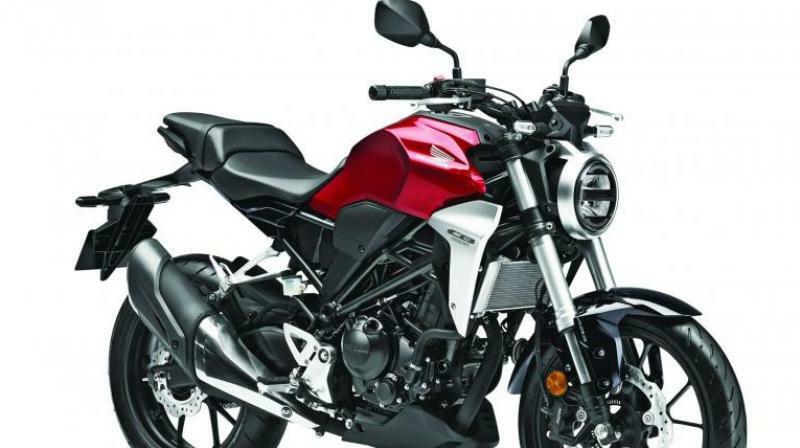 Introduction of CB300R will debut the new premium Silver Wing-mark in India,” Guleria said. Silver Wing is its global strategy to introduce middleweight bikes to the customers.